A comprehensive condo association master insurance policy is one of the most important investments a condo association can make. 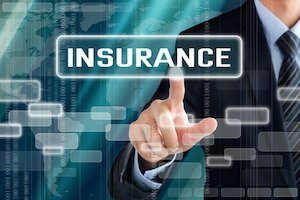 All businesses need insurance, and when a business includes real property of any kind, insurance is even more important. When it comes to your condo insurance policy, it is important to take into consideration not only the risk of loss but also the risk of liability. To get the right master insurance policy, take the time to do some research and cover all the bases. We have some tips to help. The liability portion of your master condo association insurance policy is the most important. It is the part that can save you from massive financial losses. Make sure the limits you have on your policy are high enough to cover multiple claims from the same incident. In addition to the liability portion of your policy, the other essential part is the section that covers your property, also known as the common areas of your condominium. When choosing a policy, make sure the physical damage portion is sufficient to cover the cost of rebuilding or repairing at today’s prices if a significant loss occurred. In the case of damage or destruction, your residents will look to you to quickly get their homes inhabitable again. While the standard is getting at least three quotes for a business insurance policy, you may want to get even more. Choosing the right policy is not just a matter of how much your premium will cost! Investigate the company underwriting your policy to ensure it is financially stable and has a good track record of being easy to deal with during the claims process. The Insurance Information Institute is a good place to start when researching insurance policies. Independent rating groups like A.M Best can provide the information you need on the insurer’s financial stability. Research organizations like JD Power and Associates will provide useful information on the customer service offered by the company you are considering. Never settle for an insurer without checking out its financial and customer service ratings. As you shop around, you will find many providers offer slightly different options and coverages on the policies they offer. Be sure you are comparing the most important parts of the policy – liability and common area property coverage. Many of the other things offered in your quotes are just an attempt to entice you. The Condo Association oversees the management of the building. This includes ensuring quality insurance policies are in place for the protection of residents, owners and visitors. Select the right one to cover your building and you will increase the appeal of your condominium. If you have further questions about your condo association master insurance policy, contact our friendly professionals at Ardent Residential to find out more.